Currently we are offering billet AR-15 and AR-10/LR308 receiver sets milled from 7075-T6. We are growing our selection and will be offering optics, barrels, ammunition, match triggers, etc. 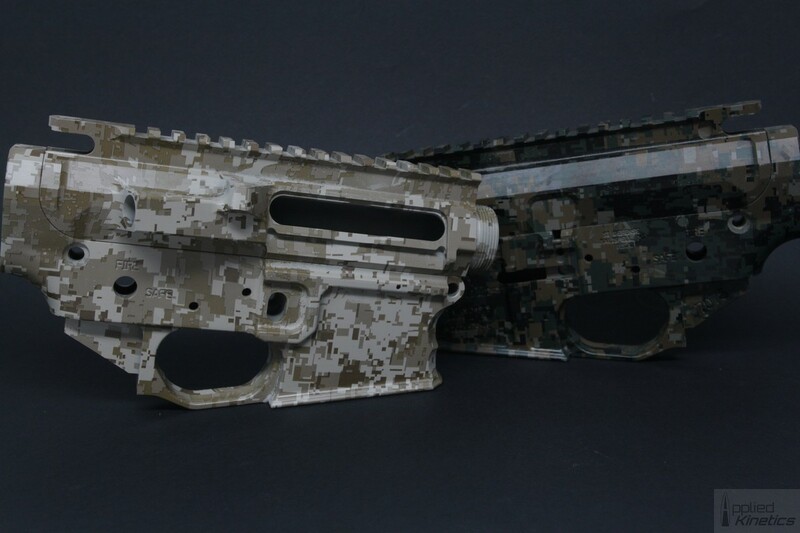 We can wrap or coat your receiver in various patterns and colors.